Studies show that chili peppers can provide pain relief for migraine and sinus headaches. Capsaicin, the chemical that makes chili peppers hot, is known to inhibit a key neuropeptide, Substance P, that is the key brain pain transmitter. Go capsaicin! 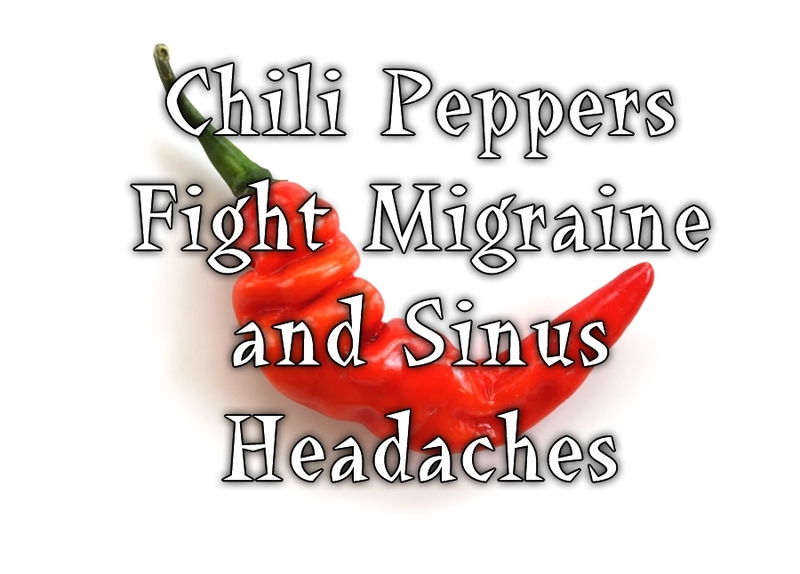 So if you’re suffering from headaches or pain associated with sinus problems, reach for your nearest chili pepper and get creative with incorporating them into your diet.